Eight original compositions scored specifically for junior/youth bands, each taking a familiar style of music from key countries, demonstrating the international musical influence that surrounds us. 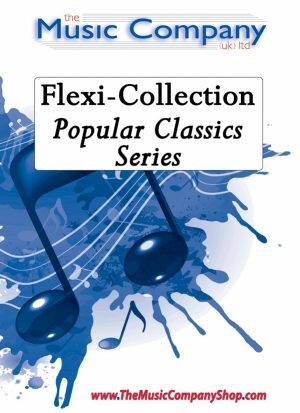 Part of the Flexi-Collection World Tour Series. This piece embraces the sounds and imagery of a tribal group out singing on a remote hill top – individuals sing out a 2 bar phrase and the remainder of their group sing a response. African Dawn brings this vision to life by giving the opportunity for the musicians playing the original “Chant” or “Call” to be positioned as soloists, or just stand up within the main group. There is also the chance for lots of percussion spread throughout the band and divided into groups, or even groups of people clapping the separate rhythms to bring forth the African atmosphere. Caribbean Calypso opens the doors to a memorable concert item, by giving you the opportunity to find a local/school steel drum group. There is much fun to be had with this unusal combination and it is sure to be a fascinating experience for both involved groups.If a steel drum group isn’t possible, we have also made sure you can still bring the sun to your concert hall by providing an alternative solo version. This gives an chance for you to give a solo spot to one of your cornet (or trumpet) players and still capture the style of the music.